About a month after 9/11, National Book Award recipient Lucille Clifton, in a reading at the New School with the poet Sonia Sanchez, shared a personal work-in-progress about the attacks –the powerful “a september song: a poem in 7 days.” Clifton ended up being far from the only poet to write about 9/11; in the years after many anthologies were published: Poetry After 9/11: An Anthology of New York Poets, September 11, 2001: American Writers Respond, and September Morning: Ten Years of Poems and Readings from the 9/11 Ceremonies New York City, among others. Despite all that poets did to commemorate the national trauma of 9/11, we have yet to witness the same for the Great Recession—the worst economic crisis since the Depression of the early twentieth century. It’s true that no lives were lost, but lives were changed. And just as the Towers symbolized New York, the collapse of Lehman Brothers jolted the Big Apple into the center of the financial crisis. Yet, despite a small online presence and a scattering of individually published poems, poets haven’t mounted a John Steinbeck-like effort to make sense of the current financial crisis. This is as strange as it is terrifying: though New York is about as capitalistic and ambitious as any city can get, the poetry community has been lax about dissecting the pain and loss of identity that comes with prolonged joblessness. Is there a need for a Great Recession poet? Which poet will finally write about the homelessness and the hunger, and worst of all, the unceasing fear that, from now on, this existence of pain and scarcity will become the new normal? Perhaps the poet who will help us unpack and heal won’t be a native New Yorker, but one who was born and raised in the heartland, later traveled the world and so possesses the music of a southerner, the cosmopolitan experience of an international traveler, and the eye for detail of a transplant. Perhaps the poet who will chide us to laugh at our pain and rediscover our resiliency will be one who has received both a fellowship from the National Endowment for the Arts and a Distinguished Alumni Award from Rhodes College, has been featured in the new Angles of Ascent: A Norton Anthology of Contemporary African American Poetry and The Best American Anthology for Poetry. Perhaps the poet who will rescue us is Patricia Spears Jones. Spears Jones’ travels allow a kind of effortless knowledge seeps though in her poetry. Her first collection, The Weather That Kills, contains the much anthologized poem “The Perfect Lipstick,” a startling poem about the birth and history of America, and how it became a place where the “most dangerous of dreams/come true.” In her second collection Femme du Monde, Spears Jones clearly establishes herself, as not only a woman of the world, but also as one who celebrates every aspect of life. 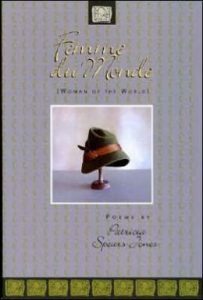 And, with Femme du Monde, Spears Jones creates a “book almost in love with the whole world,” as poet/photographer Thomas Sayers Ellis has put it. Poems such as “Female Trouble” showcase Spears Jones’ metaphoric wit. The day before an operation for “female trouble,” a woman sees a pig—“pink and fat and stubborn”—on a New Jersey highway. While others, such as “Sapphire,” display her knowledge of painting (Franz Marc, Gabriele Munter), poetry (Baraka and Yeats) and old television sitcoms (Amos ‘N Andy). But readers who fell in love with Spears Jones’ ability to reveal entire worlds through the scraps of people’s lives, and women’s lives in particular, as Spears Jones’ critically acclaimed Painkiller contains lipsticks, earrings, feathers juxtaposed alongside meaty themes such as isolation and death, will find that her new work Living in the Love Economy (Overpass Books, 2014) uses these details to tell stories about perhaps an even more forgotten segment of society: New York’s working poor. 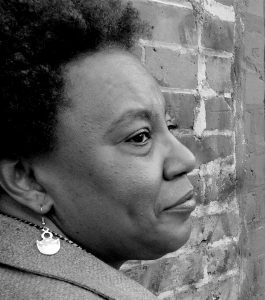 Patricia Spears Jones was one of the acclaimed poets featured in Poetry After 9/11: An Anthology of New York Poets, but the poems in Love Economy describe a different kind of collective grief than that which followed 9/11. The pain feels more sharply personal, as poems such as “Family Ties” and “Indian Summer” evoke the shame people have been made to experience simply because they are poor. Ironically, the idea of working-class hardship comes through in Spears Jones’ gritty, New York-based humor. “Second Person Hurting” a slapstick poem about a series of hurried New Yorkers walking smack into a pane of glass, takes place “a few blocks” Spears Jones claims, from Chartwell. Another poem, “The Fringe of Town (après Jeanne Larsen)” occurs in the supposed heat of a Brooklyn laundromat. Spears Jones, who worked on The Poetry Project, the popular reading series started in 1966 at St. Mark’s Church, is well-acquainted with New York City’s artists and literary tradition, explains Kristen Gallagher, author of We Are Here and an Associate Professor of English at LaGuardia Community College in Queens, New York, where Spears Jones also teaches. This New York sensibility is also what initially attracted Joey Infante, Spears Jones’ editor at Overpass Books, to her manuscript. “I was born and raised in Brooklyn and saw Brooklyn on a personal level in these poems,” Infante reveals. “There’s wisdom behind these poems. It’s right there on the page. These aren’t poems that are hiding things. They contain life lessons, ideas about the minds of humanity,” Infante explains. He also notes that part of this wisdom is the unexpected “lightheartedness” he sees in Spears Jones’ work. Infante isn’t the only one to notice the humor in Spears Jones’ work; Spears Jones says she finds “humor very useful” and cites Moms Mabley, Richard Pryor, and John Stewart—“on a good night”—as influences. Humor is part of her heritage, and though many of the poems in Love Economy are geographically based in New York, Spears Jones’ ability to find moments of lightheartedness in tragic circumstances, stems from a working-class southern tradition: the blues. The late Lorenzo Thomas, who served as editor of Extraordinary Measures: Afrocentric Modernism and Twentieth Century American Poetry, praised Spears Jones’ work for having the “same deceptively casual tone” of a blues lyric. Indeed, like the blues, some of the best poems in Love Economy blur hope, humor, pain, and irony until they become madness. The title poem, for example, incorporates the language of a failing economy (“Jealously traded as a penny stock and pleasure calculated/on past accounts, overdue”) to describe a soured love affair. In this poem, as with others in the collection, the tragi-comic nature of Spears Jones’ language evokes the blues’ thoughtfulness without replicating the lyrics, a fact that she acknowledges. But just as society often discounts the intelligence of working-class black people, people should not ignore the intellectualism of the blues nor of Spears Jones’ poetry. 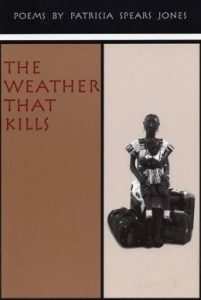 Tony Medina, Professor of Creative Writing at Howard University, also believes Spears Jones’ poetry as woman-centered, and he sees Spears Jones’ poetry as unique in its use of eroticism and its depiction of “the pain and the pleasure of passion.” Yet, he also finds that Spears Jones has an “aesthetic daring” that she shares with women writers such as Thulani Davis, Audre Lorde, and Ntozake Shange. And this is where Spears Jones’ Arkansas heritage comes in. As a transplanted southerner who now makes her home in New York City, her poetry has always embodied the feeling of the outsider looking in at larger culture. But newer poems, such as Love Economy, allow the outsider to loom larger than ever before. Most of the speakers in Love Economy are the ultimate outsiders, and their lives often represent uncomfortable questions: What does it mean to be a poor woman? What is life like for an older person with a less-than-comfortable savings account? Her newest poems are those of an African-American poet exploring the dangerous life of the outsider. And, ultimately, this outsider status may be exactly why the transplant has so much to say about race, gender, and most especially, class. This entry was posted in Interviews and tagged Angles of Ascent: A Norton Anthology of Contemporary African American Poetry, Audre Lorde, cave canem, Cornelius Eady, Dark Room Collective Reading Series, Extraordinary Measures: Afrocentric Modernism and Twentieth Century American Poetry, Femme du Monde, For Colored Girls, Gregory Pardlo, Juliet Howard, LaGuardia Community College, Love Economy, Lucille Clifton, National Book Award, National Endowment for the Arts, New School, Ntozake Shange, Patricia Spears Jones, Poetry After 9/11: An Anthology of New York Poets, Rhodes College, The Best American Anthology for Poetry, The Poetry Project, The Weather That Kills, Thomas Sayers Ellis, Thulani Davis, Tony Medina. Bookmark the permalink. An excellent, well written piece! Patricia Spears Jones is great!